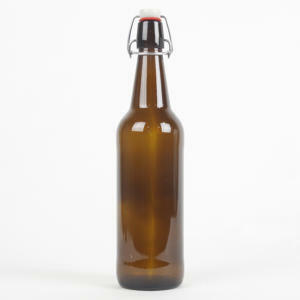 Amber Flip Top Bottle - 750ml (cs⁄12) - F.H. Steinbart Co. These quality amber glass bottles eliminate the time-hogging hassles of traditional bottling. Each flip top bottle in this case of 12 is made of amber glass that helps prevent UV rays from damaging your brew, features a 750 mL capacity, and utilizes a a swing cap design that inserts into the top of your bottle to create an instant airtight seal.